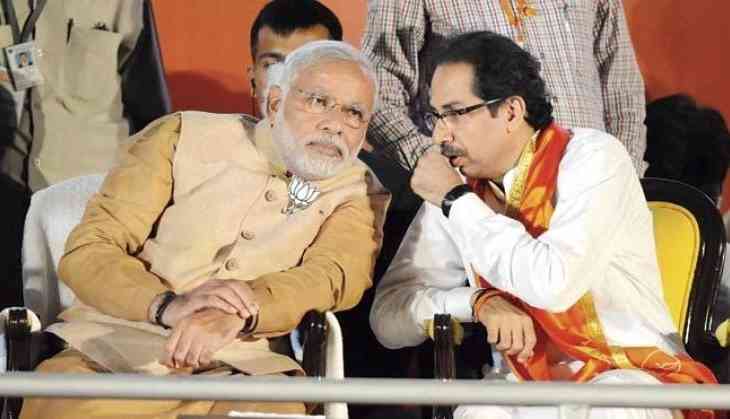 Prime Minister Narendra Modi and Shiv Sena chief Uddhav Thackeray will share the stage at a rally in Maharashtra on Tuesday for the first time after the tie-up of their parties for the upcoming Lok Sabha polls. The two leaders will address a public gathering at Ausa in Latur in support of the alliance candidates in that district and Osmanabad, where polling will be held on April 18, BJPspokesman Keshav Upadhyay said on Sunday. On Saturday, Modi addressed a rally in Nanded, where state Congress president andformer chief minister Ashok Chavan is contesting against BJP's Pratap Chikhalikar. The Sena, which has often been critical of the BJP and policies of the NDA government, entered into a seat-sharing pact with it recently after the ruling party's president, Amit Shah,visited Thackeray at his residence here. The BJP and Sena announced to contest 25 and 23 seats, respectively, in Maharashtra which has 48 Lok Sabha constituencies. Earlier, the two parties went separate ways after the 2014 Lok Sabha polls and contested the Maharashtra Assembly elections held later that year on their own. The BJP-led government under the leadership of Devendra Fadnavis took charge in the state in October 2014 and the Shiv Sena joined it in December that year. Polling for the 48 Lok Sabha seats in Maharashtra will be held in four phases on April 11, 18, 23 and 29, and the results will be declared on May 23.